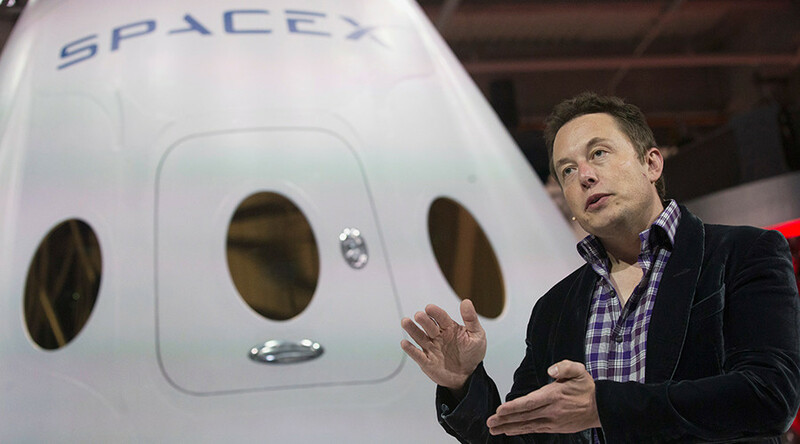 SpaceX founder Elon Musk has laid out predictions for a near-future where humans live among the stars and a dystopian-like employment crisis hits parts of the world, because of advanced robot technology. Setting forth a series of ‘outside the box’ theories about the future at the World Government Summit in Dubai, Musk again said that he is willing to die on Mars, but "just not on impact." With plans for the Mars Colonial Transporter in their nascent stages, Musk is hoping to shuttle the first explorers to the alien planet and possibly beyond. “If you can consider two futures, one where we are forever confined to Earth until eventually, something terrible happens, or another future where we are out there on many planets. I think that the second version is incredibly exciting and inspiring and it gives you reasons to get up in the morning,” Musk told the audience. So far companies like Blue Origin and SpaceX have been the leading lights in reusable spacecraft, which Musk says is important if space travel is to open up to a wider market. Earlier the entrepreneur said that, like the short timeframe between the first flight and humans landing on the moon, what is thought to be impossible now could become reality very soon. “This may be just wishful thinking [but] I hope we are out there on Mars and maybe beyond Mars to the moons of Jupiter. “I hope we are traveling frequently throughout the solar system and perhaps preparing for missions to nearby star systems. I think all of this is possible within 50 years,” he added. Turning to a potentially dystopian eventuality, Musk said the world needs to be “careful in how we adopt artificial intelligence”. With mankind’s technological abilities advancing every day, he pondered how it could impact on people’s meaning of life. Despite his obvious interest in the area, the Tesla entrepreneur envisioned a future where the widespread convenience of autonomous cars could bring about an unexpected crisis. “My guess is in ten years it will be very unusual for cars that are built to not be fully autonomous. However, he warned that such ease may lead to a jobs issue in the space of just 20 years; one that could be replicated across many industries. “I think [driving] might be the single largest employer of people. So we need to figure out new roles for what those people do but it will be very disruptive,” Musk said. “These are not things that I wish will happened, these are some of the things that I think probably will happen,” he said.